Looking to upgrade or install new perimeter security solutions in Jarrow? Automation & Security have been delivering, supplying, installing and maintaining security systems for the last 20+ years. They have a reputation in the North East for supplying quality products backed up by professional and reliable installers. They can install a wide range of automated security solutions including electric gates, barriers or bollards with optional extra such as anti-terrorism and access control. 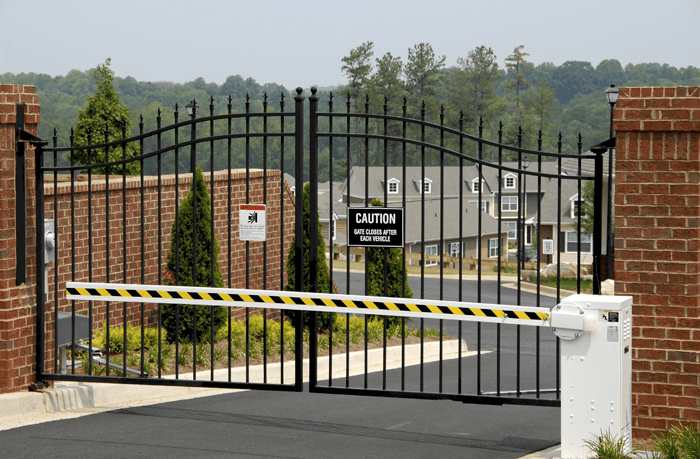 Automation & Security are experts in gate automation. Regardless of your electric gate needs, they have the solution to match your requirements. Whether It’s cantilever, sliding or swing gates they can cater their systems to specific requirements backed up by technical expertise to protect any size of property or complex. Whether it’s industrial premises, hospitals, gated communities or sport/exhibition centres, get in touch. Manual or Automatic arm barriers are a great way to manage traffic flow in and out of properties. If you are looking to manage traffic control, their fast response barriers make a great solution. These can be added with access control which can be linked up to your existing employee database, preventing “unauthorised access” to your premises, without the need for manpower to manage it. Heavy duty retractable or fixed bollards can help manage both traffic flow and protect your property and premises. Retractable bollards can be lowered when not in use, keeping the aesthetics of your property intact, as they are flush with road surface. These can then be quickly activated in case of a security breach such as a ram raid. Automation and Security can provide high impact security solutions such as PAS68 anti-terrorism products. These items have been certificated to withstand a single horizontal impact, even at high speeds. With the increased threat of terrorism around the world more companies are looking into higher spec security solutions to protect their premises. So if you are looking for security solutions in Jarrow why not call them now on 0191 456 3399 or fill in our contact us form.